My life has changed quite a bit since this picture was taken. This was back when I first bought the land where I now live with my wife Lisa. In lots of ways, it serves as a metaphor for what I have been through. When I bought the 40-acre parcel in 2013, it had not been cleared for over ten years. It was covered with cedar, hedge and locust trees (the ones with the scary long and very sharp thorns). I cleared hundreds of trees and shrubs and mowed wild brush until enough space was cleared to build a barn and driveway, and then finally a house. When I dug the foundation for the house, I discovered rock–and not just a little! After my basement was excavated, I had a rock pile in the front yard over a hundred feet long, twenty-five feet wide and ten feet high. Many of the rocks were so large that they are still on the side of my driveway because I don’t have a machine large enough to move them (like the size of a small volkswagen). Four years, one divorce, one remarriage, and a long season of recovery from depression, alcohol abuse and sexual addiction later, things look a lot different. Even my theology has changed significantly. My heart was like that uncared-for property: stoney underneath, covered with weeds and thorns on the surface–uninhabitable. It is really now just beginning to emerge as a whole new life–one in which love, not neediness characterizes its driving force. 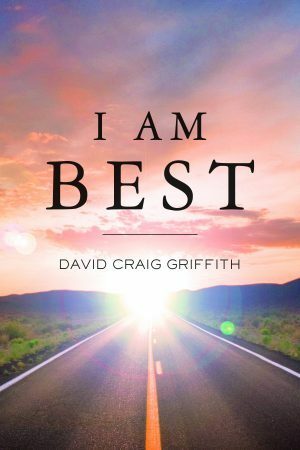 My book, I AM BEST, represents my own journey into and through recovery. Today I am very happily married, I live in a beautiful home and the land continues to show progress toward domestication. I must confess though that once I started working for the recovery of my heart, the work of subduing nature has taken a back seat. While I have been able to maintain what I have cleared, I have made little to no progress on beating back the untamed portions. The work continues on both fronts.